Inserted in an office building, the store functions as a night time entertainment space and is developed on two floors. It has a good window showcase and is ideal for any kind of activity, including food & beverage. Possibility to negotiate equipment. D. Carlos I Avenue is the artery that connects the riverside area to the House of Congress and it’s well known by the presence of many restaurants and bars. This area of the city has been a target by companies that install their headquarters here, complementing the existing residential and commercial components. Current contract negotiated for a long period with a stepped rent. Easy access by public transport (train, bus and tram), and by car, with public parking in the Vitorino Damásio in the vicinity. Nearby Retailers: Several banking facilities, hairdressers, restaurants (El Rei D. Carlos, McDonald’s, Popolo, among others) and also some home decor shops. Monthly Rent: Current contract negotiated until January 2027, with a stepped rent. 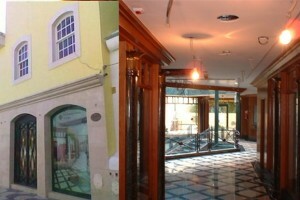 Building located at the main pedestrian street (former Rua Direita), right in the historic quarter and in the center of Cascais retail area. Excellent location in an area that has been the target of several rehabilitation and improvement projects. 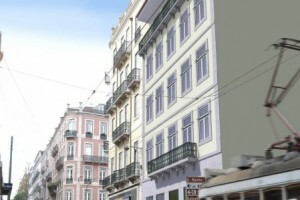 In the heart of Lisbon historical centre, Odeon Building rises in between Av. da Liberdade, Restauradores and Portas de St. Antão. 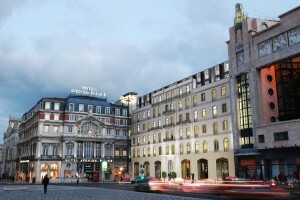 This emblematic location is not only in the centre but is an iconic cultural area. Unit at Rua de Santa Catarina, the best location for street shopping in the city of Porto. Do you need project management services?